Does your pet dog have what it takes to be an opera star? The company bringing one of the most romantic operas ever written, Puccini’s La Bohème, to the Alhambra Theatre, Bradford in February are looking for a pet dog to be part of this incredible production. 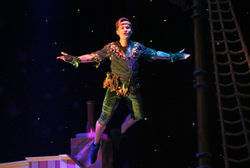 PETER PAN PANTOMIME AT THE ALHAMBRA THEATRE, BRADFORD OPENS TO PACKED HOUSES! 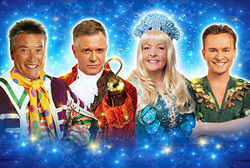 Yorkshire’s number one family pantomime, PETER PAN, opened last Saturday to packed houses and will run for the next 5 weeks at the Alhambra Theatre in Bradford. 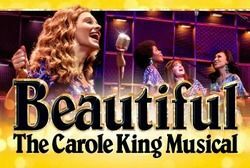 We are delighted to announce tickets for BUDDY – THE BUDDY HOLLY STORY, BEAUTIFUL – THE CAROLE KING MUSICAL, and HAIRSPRAY are now on general sale. Samantha Womack, Les Dennis and Carrie Hope Fletcher will star as Morticia, Fester and Wednesday Addams in the UK and Irish premiere of THE ADDAMS FAMILY, a musical comedy, with book by Marshall Brickman and Rick Elice, and music and lyrics by Andrew Lippa, based on the characters created by Charles Addams. Further casting is to be announced. Hoist the mainsail and steer a course to Neverland with Peter Pan which opens next month at the Alhambra Theatre, Bradford the home of Yorkshire’s biggest pantomime! 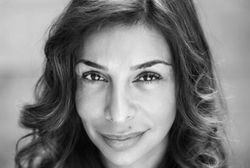 The Touring Consortium Theatre Company and Birmingham Repertory Theatre are pleased to announce that Shobna Gulati (Coronation Street, Dinner Ladies) will star as ‘Daljit’ in the new tour of ANITA AND ME, which comes to the Alhambra Theatre, Bradford in March 2017. Autumn is here and the countdown to Christmas has begun. 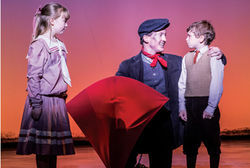 The spectacular Mary Poppins continues at the Alhambra Theatre until Saturday 10 December and we are getting ready to take a trip to Neverland when the magical pantomime adventure Peter Pan arrives in town from Saturday 17 December. 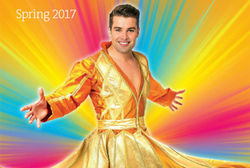 We are excited to announce our spring 2017 season with dance, drama, music, comedy and musicals to suit all tastes. 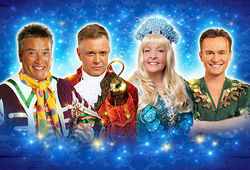 As preparations for the festive season gain momentum, so does planning for Yorkshire’s biggest pantomime, PETER PAN, at the Alhambra Theatre in Bradford, including the venue’s second ever Relaxed Performance, which will be staged on Tuesday 17 January 2017 at 7.15pm. 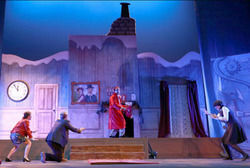 MARY POPPINS opens at the Alhambra Theatre in two weeks!